2000 birthday candles. That’s a hell of a cake! It’s not a super-old person i’m talking about, but Nijmegen, a small city in the south-east of The Netherlands, and the oldest in the whole country. That’s like, more than 8 USA’s! It was a Roman legion encampment first, set up in the days when the Romans were still figuring out their calender. What followed was 2 millennia of building, growth, destruction, and re-building. The Romans checked out for good in the 4th century, and so began it’s mighty career as a river trade hub. Charlemagne seemed to like the place and visited a few times in the 8th century. So too did the Holy Roman emperor, Henry IV, a Nijmegen local. In the 19th century, the city tore down it’s medieval city walls to allow for expansion. Sadly, it was shelled to smithereens by German and American armies alike in 1944 during the process of it’s liberation. Now it’s a student town. And my grandma lives there too. So I visited. Nijmegen emerged from the destruction with very few bridges, and a scant handful of reminders of it’s medieval history. The city itself is rather quiet, and the sights can be seen in a day. But they’re quite cool. 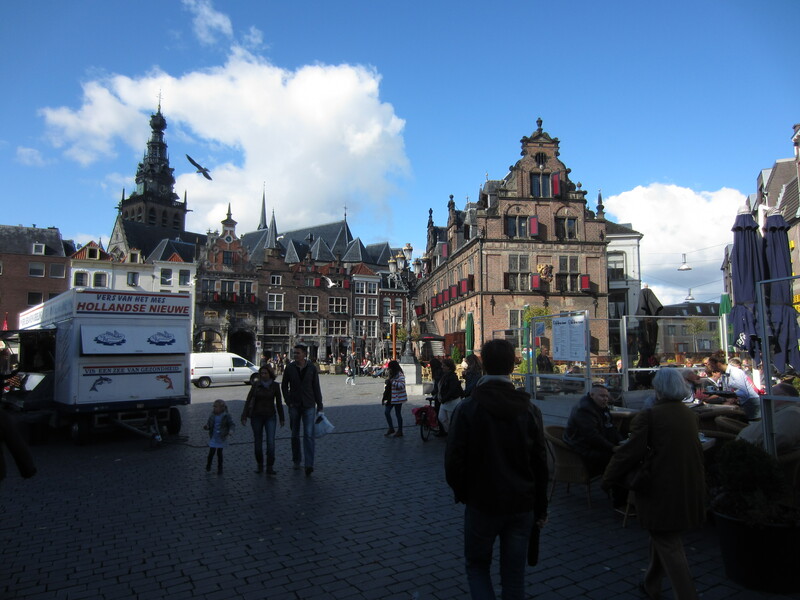 Like many cities in the low countries, it has a central market, the Grote Markt. Within it’s four walls, market stalls and umbrellas are surrounded by bars, cafes, restaurants and a beautiful town hall. 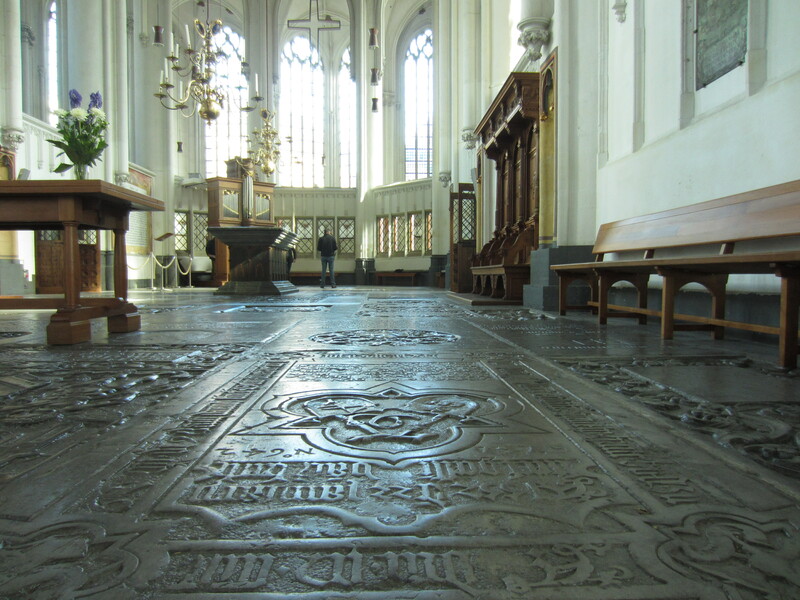 Attached is 13th century, (Indiana Jones and the Last Crusade-esque) Sint Stevenskerk, with beautifully carved (and worn down) rock floors, which look like tombs. At one of Nijmegen’s highest points is Valkhof park. It’s just a park, except for Kasteel het Valkhof, a half-smashed turret that once belonged to the biggest, oldest and most imposing castle of The Netherlands. 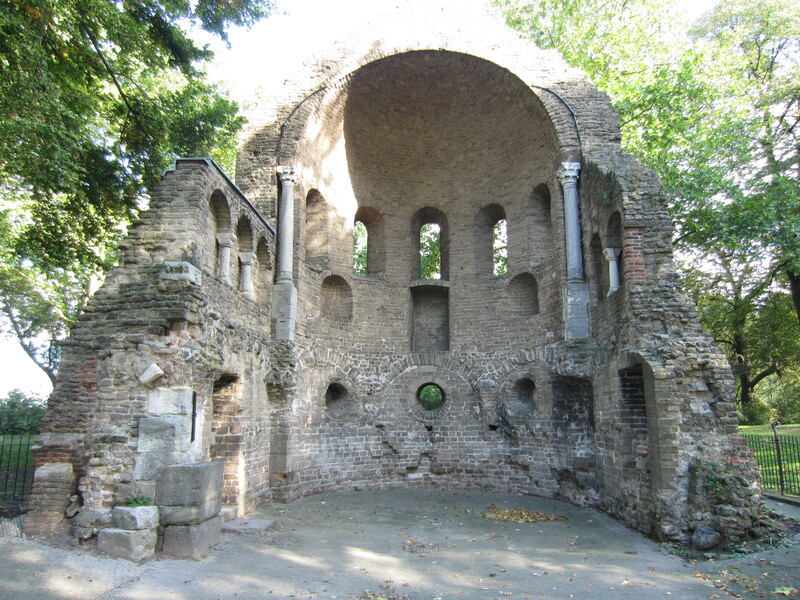 It was built in the 8th century, and saw Vikings, Holy Roman Emperors and Romantic painters come and go. It was eventually torn down in 1796 by French revolutionaries, who decided it represented an older, more feudal age. 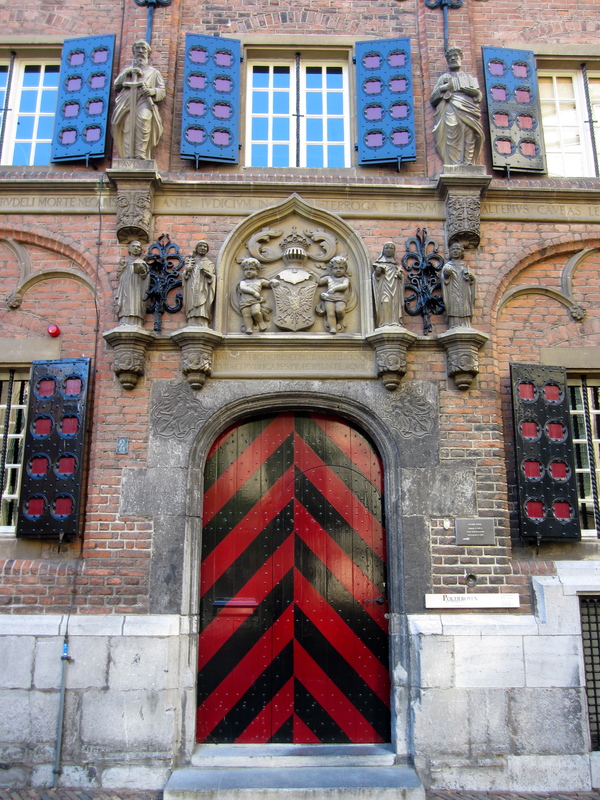 Just nearby is Sint-Nicholaaskapel, another piece of the castle, from it’s 1030 renovation. This is actually a visitable building, a circular turret with a grand chandelier and a few information plaques. That’s pretty much it for Nijmegen. 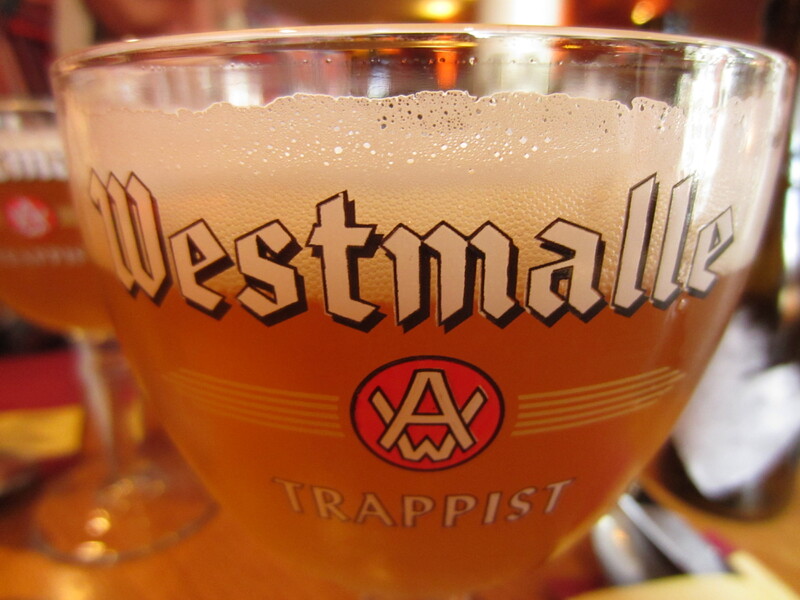 But don’t forget, you’re in Europe, so some of the greatest beer ever brewed awaits at some of the riverside cafes. And go visit your grandma!